CRL startups win big at Santander entrepreneur comp! 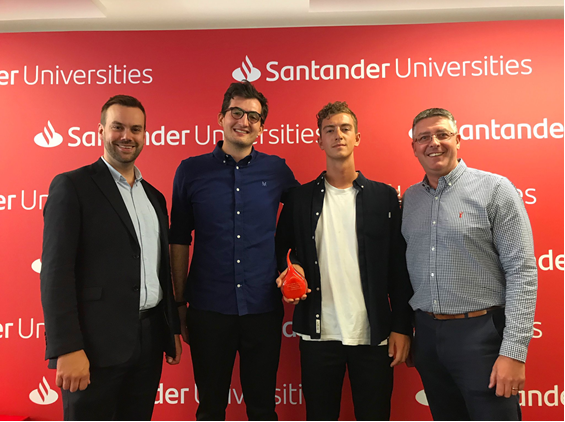 The CRL team are over the moon to announce that 3 CRL affiliated startups have got through to the final round of Santander Universities’ entrepreneurship competition. Wase – a startup focused on developing decentralised sanitation and energy technology solutions, who recently started renting one of our studios – were awarded the top prize in the ‘tech’ category. Brunel student Rehana Al-Soltane of BrightSign was awarded the audience choice award; BrightSign founder Hadeel Ayoub was part of CRL’s last Accelerator programme. Finally, the wonderful Chip[s] Board – a startup that have developed an MDF-like material out of potato waste, who are currently taking part in the Accelerator – were awarded the number one spot in the ‘non-tech’ category. 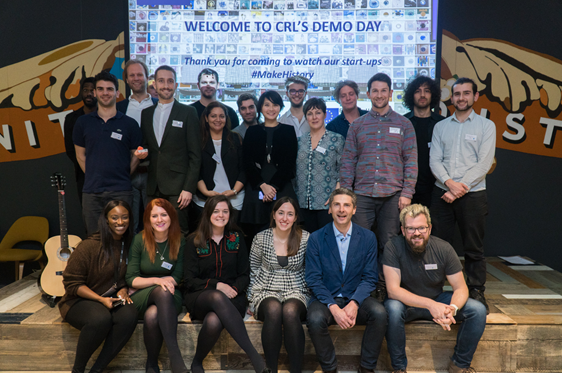 Come and watch CRL startups #MakeHistory next Thursday at demo day! CRL hope you will have now seen the adverts for their up and coming demo day (19 July), where the current cohort of entrepreneurs on our Accelerator programme will be giving their now perfected five minute pitches, and two innovative entrepreneurs from the wider CRL community – Hadeel Ayoub of BrightSign and Andrei Danescu of Botsandus – will be presenting. Don’t miss out!!! 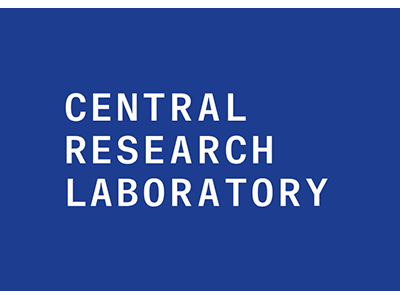 CRL are also very excited to announce that their next Accelerator programme is open for applications! 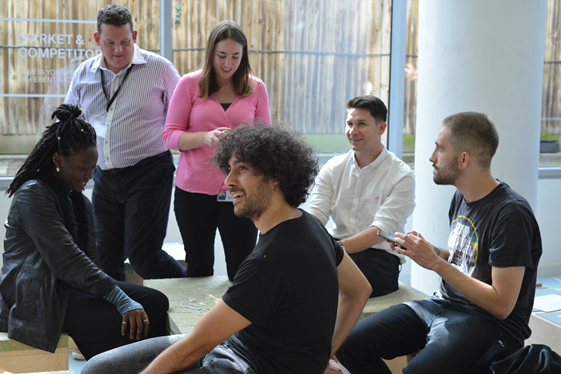 See here for everything that the CRL’s incredible programme offers product-focused entrepreneurs. Applications close 29 July 2018. Did you hear? CRL have a free coworking day on 26 July! CRL are proud of the innovative community they have at CRL, packed full with talented entrepreneurs, makers and freelancers. Don’t be a stranger, come along to their free coworking day on 26 July. They would love to find out more about what you do! Take a look at the type of memberships CRL offer here.